One of my favorite Christmas gifts last year came from my husband. He gave me and both of our daughters copies of A Year with Rilke. This book includes daily readings culled from the poet’s published works and letters. Inside the front cover of each book my husband suggested “we could all read the daily poem as a small way to stay connected throughout the year.” Our daughters are on their own now, and one currently lives halfway across the country. Still, we regularly share with one another stories, articles, links, and podcasts that we think are interesting, so this gift has real meaning for each of us. While I find each day’s reading thought provoking, I find Rilke’s “Letters to a Young Poet” to be the most memorable, and in fact, many of these linger well into my day. The following excerpt from February 18, for example, is a gentle reminder to step back, resist the urge to create neat piles, allow chaos a dwelling space, and live with the unfolding mystery of life. This is a good practice in general, but has particular value during Lent. I want to ask you, as clearly as I can, to bear with patience all that is unresolved in your heart, and try to love the questions themselves, as if they were rooms yet to enter or books written in a foreign language. Don’t dig for answers that can’t be given you yet: you cannot live them now. For everything must be lived. Live the questions now, perhaps then, someday you will gradually, without noticing, live into the answer. Barrows, Anita, and Joanna Macy. 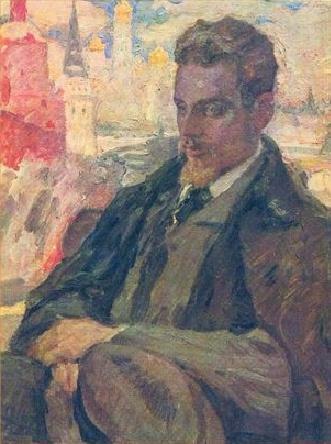 A Year with Rilke: Daily Readings from the Best of Rainer Maria Rilke. 1st edition. New York: HarperOne, 2009. p 49. You can find the book here, or at your favorite bookseller.